Rangers manager Mark Warburton has admitted Jordan Thompson is a player he wants to send out on loan, but as yet no deal has been brokered to take the former Man Utd youth player away from Ibrox to learn his trade due to the squad being too lean for now. Heavily advocating the loan system which gives less-used players the chance to get first team football and an ‘education’ in the discipline, Warburton conceded he rates Thompson highly and wants to deploy him as a substitute more frequently, but the chances have not been there yet and the midfielder would benefit more from a loan out. “We are delighted with Jordan’s progress, to come in and to find your feet as he did and to get used to the club as quickly as he has, has been first class on his part. He is one like Tom (Walsh) who could benefit from a loan, but right now he is in our squad and on our bench." Both Thompson and Walsh have barely featured in recent months, even as substitutes, but are vital cover. Rangers’ struggles in getting midfielders are well-documented, and with only a couple of days left of the transfer window, it does not appear to be getting resolved any time soon. I think Jordan Thompson is a gem of a player. Definitely needs to be playing every week.Again today against Falkirk Zelalem showed he will not strike a ball for goal. Simply cannot or will not commit to a shot for a goal. Mental block ? definitely.There are many similar types at Rangers and although they are top of the league today they were very fortunate with King's wonderful header to win the game. A big game on Tuesday. a couple of players off the pace today, and Halliday was missed.McKay brilliant but system can't seem to take such an advantage and turn it into goals. 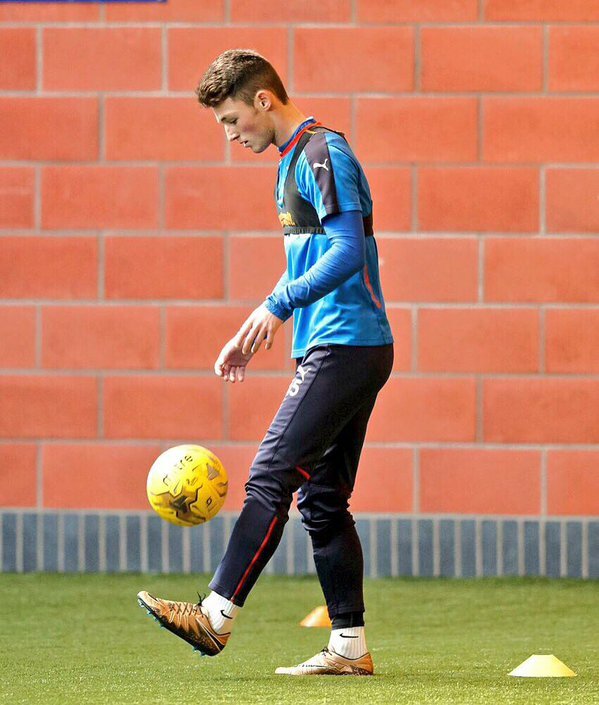 I wish we hadnt loaned out young murdoch, wish he had had a shot at 1st team this season. I am not sure on the criticism of Zelalem. For a young guy he looks incredibly composed. He keeps the engine ticking and the ball rolling. I think the lad is a wonderful footballer. How can we cash in on king when he is on loan and going back to hearts. ...years ago wee had Gaza and big eck and winning trophies all over bonnie scotland and Europe cheeting a we bit and all that but now we're loaning players from Heats of greater Middleton a mean what the f fluk is happening to my once great British Empire team ... my blue eyes are bleeding blue blood no wonder I drink tequila, red wine and pimps with a touch of lime .. your bestest friend Declan . Rule Britannia , no surrender and all that other pish . RIP sir terry pity you lot don't have his dignity. We don't hate Catholics just bitter cunts like you! KING BILLY'S ON THE BALL! Billy Boy is a legend already. I JUST CAN'T GET ENOUGH ! I c don cowie has been released by wigan think he wud b a gd addition to the squad.